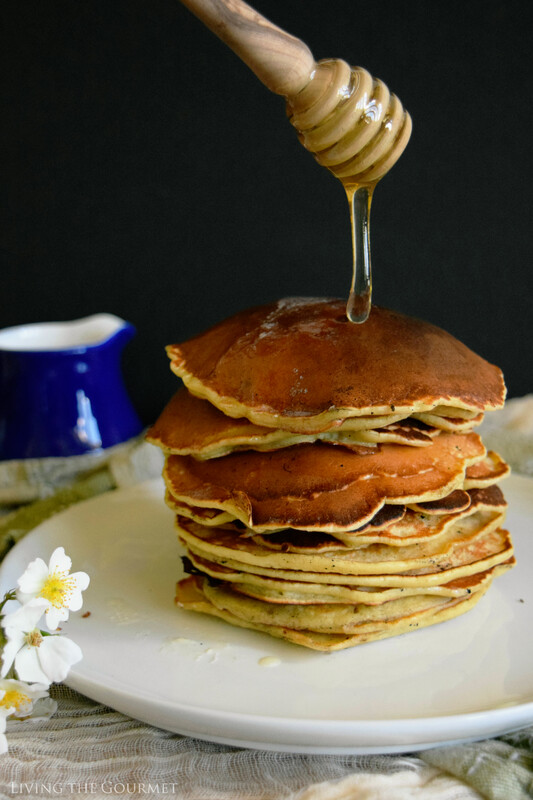 Treat yourself to these hearty pancakes made with Quinoa, an ancient grain that is packed with protein and fiber. The other day, while perusing Facebook I saw a poll asking what the most popula breakfast treat is – French Toast, Waffles, or Pancakes? Interestingly, as I’ve gotten older I find it difficult to eat heavy in the A.M. but I know the family still enjoys those hearty Saturday morning pancakes. 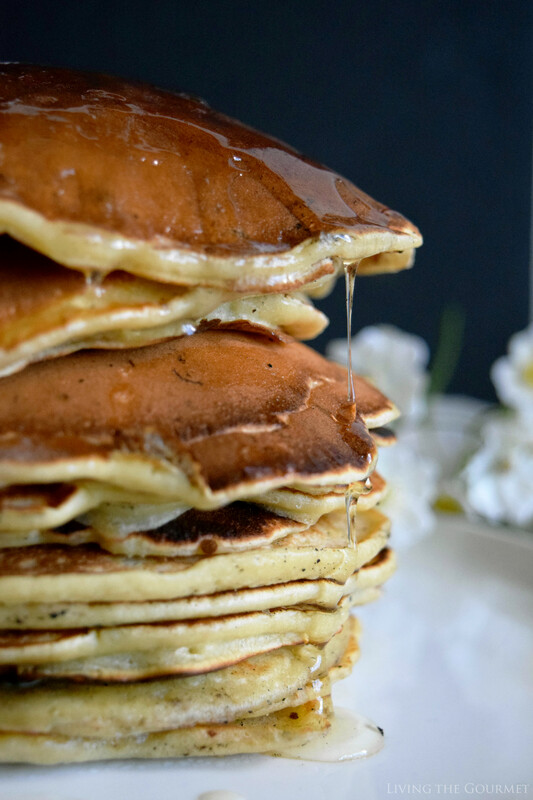 As enticing as a tall stack of griddle cakes may be, there is no perfect recipe. It’s funny how when a food craving catches on and everyone unanimously enjoys it, we then feel the need to make it a million and one different ways. Take for instance chocolate chip cookies, donuts, pizza, egg sandwiches…I think you get where I’m going with this. 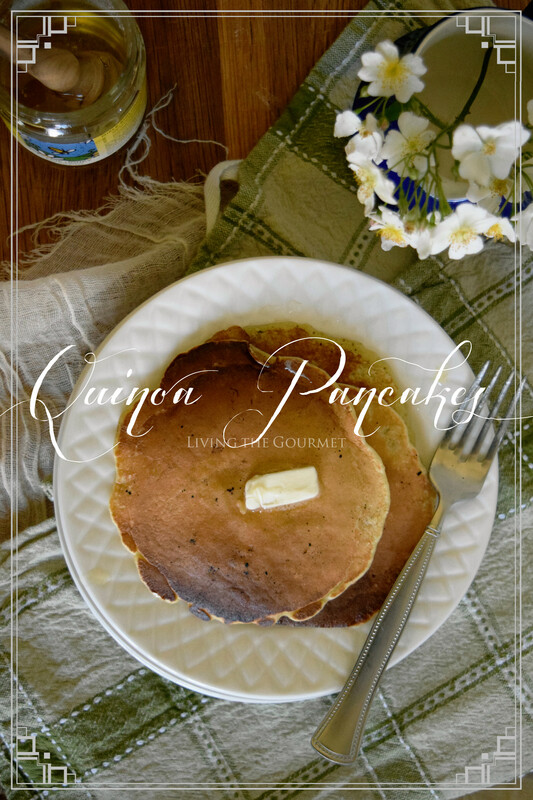 When it comes to pancakes, I’ve recently discovered one of my favorites may just be Quinoa pancakes, which my daughter introduced to me. Together we’ve been on a protein kick and Quiona just happens to be one of the most protein rich foods out there. 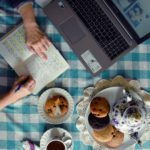 Ancient grains like Quinoa and Millet are taking the world by storm and it’s no wonder why when you read about the health benefits and how most of these grains are allergy friendly. But not to shift the focus too much, I found a bag of Quinoa flour in my pantry the other day and decided to bring back our Saturday morning breakfast treat with a healthy twist. 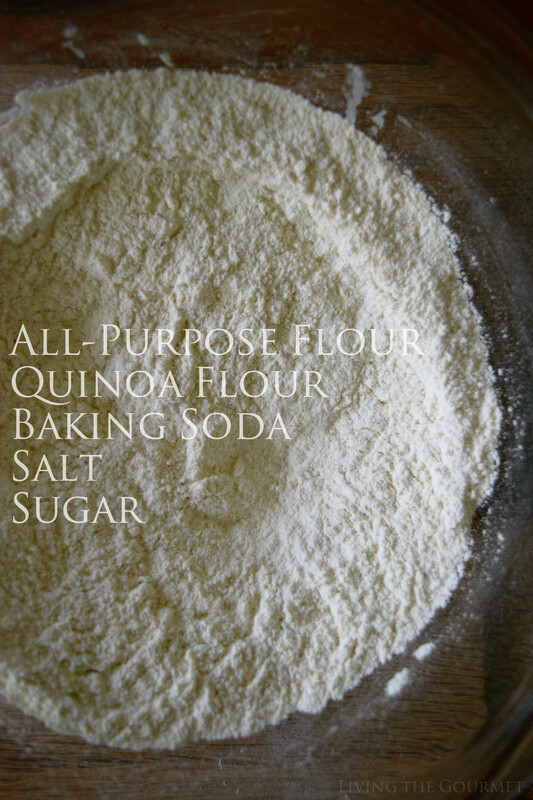 I used a mixture of organic all-purpose flour and Quinoa flour. 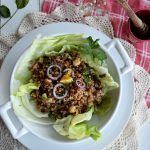 You can certainly use 100% Quinoa in your recipe but for those who may not expect it, it will be light in texture with a grainy flavor that some may not be used to at first. It’s delicious all the same in my opinion, however. This recipe follows your basic pancake recipe with minor changes to the recipe itself. I added a bit more sugar than other recipes, a touch of vanilla and coconut oil to add a subtle sweetness to the batter to compliment the flavor of the Quinoa. In a medium bowl, whisk together all the dry ingredients. 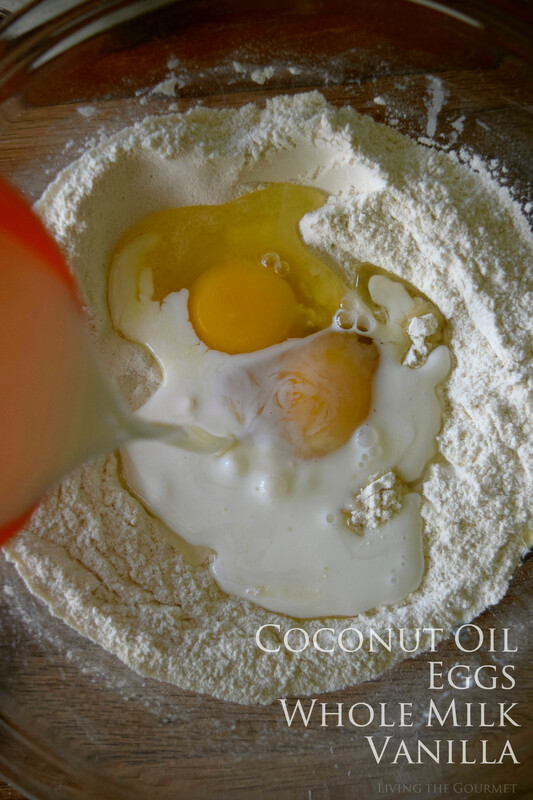 Add the eggs, vanilla, coconut oil and ½ cup of whole milk. Whisk until everything is incorporated. If the mixture is very thick add the rest of the milk slowly while whisking. The batter should be a little clumpy but smooth enough to whisk through. Heat a large cast iron griddle and melt down a few pats of butter. Using a ladle pour the batter onto the hot pan. When the pancakes begin to bubble on top, flip and cook on the other side. Repeat until you have a desired amount of pancakes. If you have any leftover batter, store in an airtight container and store in the refrigerator. Serve with maple syrup or honey and butter. Serve with warmed honey or maple syrup and don’t forget to top with just a pat of salted butter. This is a great way to work some extra protein into the day. This looks like a healthy spin on a classic favorite. There's so many good uses for quinoa! I've even used it to make a crust. Totally have to try this. These are gorgeous! I would love to try them! 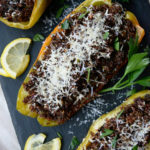 I love how versatile quinoa is! 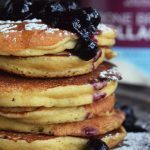 I haven't worked with quinoa flour before but these awesome pancakes are the perfect way to jump into it. This looks amazing and I am having some serious breakfast envy right now. I cannot wait to try these. What a great idea! Thanks for sharing. Luci’s Morsels | fashion. food. frivolity. I'm intrigued by adding quinoa flour to the pancakes! That extra protein is probably nice and filling. Thanks for sharing! I love pancakes. This looks like such a healthy version! I bet my kids would feel fuller longer! I love how you made these pancakes with quinoa flour. Need to try this. They look delicious. I love quinoa, but haven't had pancakes. I need to make these. Looks delicious! What a unique idea! Sounds wonderful!!! 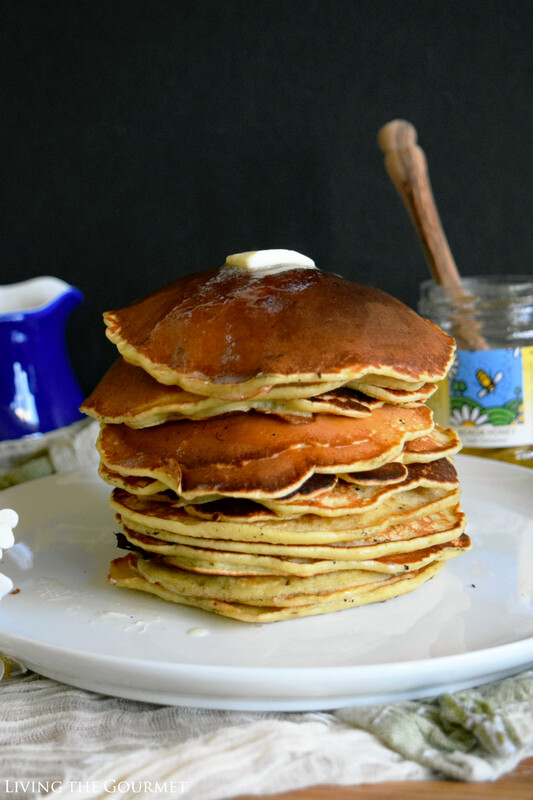 Love that these pancakes are made with quinoa! 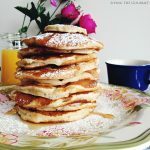 I'd love waking up to a stack of these for breakfast! 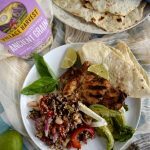 We do cook a fair amount with quinoa and these sound like a great way to add some extra protein! They look delicious too! I need to try making these for my sister in law who is gluten free! Can't wait to experiment with the quinoa flour!